So I made my first notebook ever. For my friend Ana (and she taught me how to actually do it). I hope she will write and draw tons of stuff on it and that by Christmas, the whole notebook will be completed. For what is a notebook without the notes and doodles inside it, to call your own? And a little update: you can find many more handmade notebooks on our Etsy shop L'ateliera! 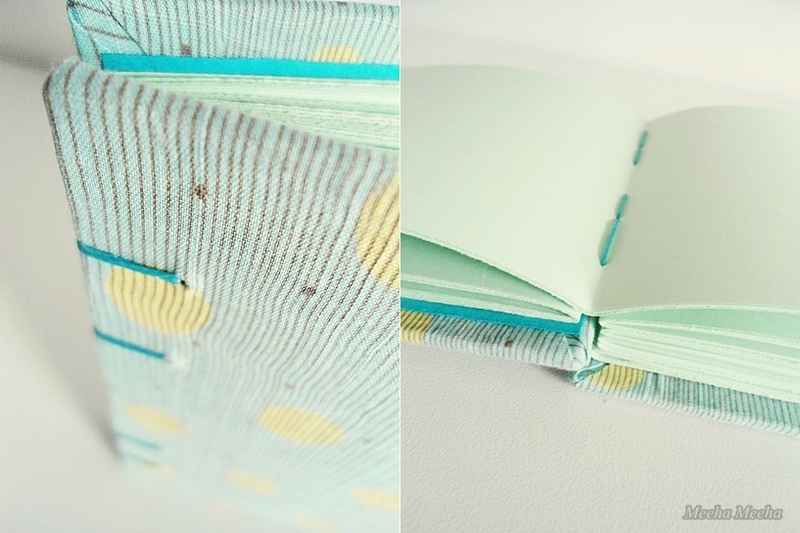 To make this present, I used colored paper (mint for the notebook body and turquoise for the inside covers - Ana's favorite colors) and an old skirt with a lovely dotted - psychedelic pattern. A touch of happy yellow never hurt anybody, but don't stare too long at the fine lines or you will get a mighty headache! 1. You will need: a piece of fabric in a playful pattern, hard cardboard, colored lightweight paper, liner, cutter, scissors, glue, waxy string, a needle and an awl for piercing everything. 2. Cut the strips of paper twice as big as the final size you want for your finished notebook. Fold every paper in half along the sewing line (where the stitches will be) and make 7 sheet sets. 3. Pierce every set of paper, using a guiding template (to make sure the wholes are even on each set of paper). 4. Cut the covers and carefully glue the fabric on the outside. Tuck the corners in. 5. Glue the inside cover over the fabric corners and pierce the covers, using the same template. 6. Sew every set of paper - this is impossible to explain properly, but there are plenty of web tutorials out there. To be honest, it was Ana who taught me how to make the stitches... because handmade notebooks are her hobby! i love these colors!! they remind me of the ocean :) i'd love it if you linked this up to my party! Absolute notebook love. Actually it is far too pretty to be called a notebook! Thank you so much, Tara! The handmade process is wonderful! What a lovely gift idea, love the colours too! What a great gift idea! This notebook would be an appropriate gift for many occasions: teachers, end of year to students, as a diary, a sketchpad, etc. I love the versatility! Thanks for sharing at Show & Tell. Prezenty i to wykonane własnoręcznie, są szczególnie miłe. Pozdrawiam. Gifts and a hand-made​​, are particularly nice. Yours. Thank you so much for the visit and for the kind words, Giga! Hand-made presents are the most important ones. Dziękuję bardzo za wizytę i za miłe słowa, Giga! Ręcznie robione prezenty są najważniejsze. Beautiful work! I've been wanting to make my own journal and this is certainly inspiring me. Found you via The DIY Dreamer! Thank you so much, Katlyn! Love this! I'm addicted to binding books and journals. The cover fabric is lovely too. I'm curious tho, what is the stitch you used to bind it? I don't think I've used that one before! It was my first book-binding project, Chelsea, and I was terribly afraid not to mess-up the stitches - but it was easy to do and it turned out great (not too large, not too tight). But the stitch model came from my friend Ana, she just figured it out by herself. Looks fantastic! I love the fabric you covered it with. I've had book binding on my to do list for a while (I had a little practice a while ago). Thank you for the visit - book-binding needs patience and discipline, but it is an easy craft to do! Beautiful!! I love all of the colors and nothing beats a homemade journal. Thanks so much for sharing over at Clean and Scentsible. I'll be featuring this tomorrow. Enjoy the rest of your weekend! Thank you from the bottom of my heart, Jenn! Thank you, Christina, nothing says I love you like a personal, hand-made gift! 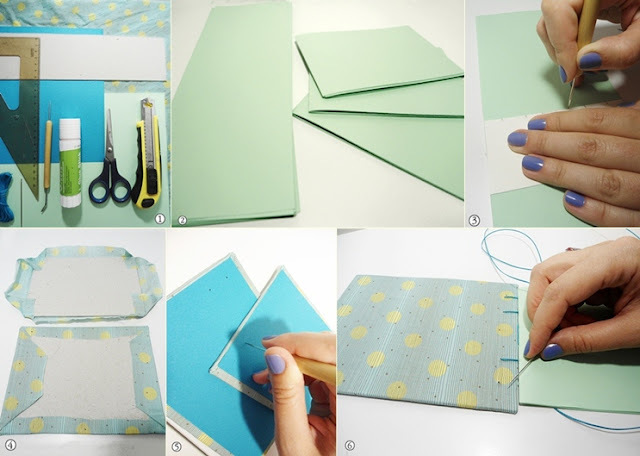 Hiay , stopping by from petite hermine and loving your handmade notebook and tutorial x tfs I make handmade photo albums maybe you will pop by my blog for a peep ? First of all I must say that your photos are GREAT!!! The notebook is AMAZING!!!! Way to go! LOVE the colors!! Beautiful notebook! I love the colours! What a gorgeous book! love the colors you chose! Thanks for linking with us at tip toe thru tuesday! Really nice notebook, to be your first one it came out really wonderful, congratulations and good tutorial. you are so talented! this is beautiful. the stitching is amazing. i have collected some handmade notebooks through the years. I love it! The colors are so pretty too. 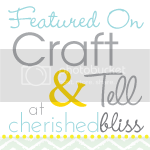 Thanks for sharing at my Pinteresting Party this week. My daughter gave me one of these once and I just loved it. It's great seeing how it's done. Thank you. Your color choices are gorgeous! Thanks for sharing! Such a pretty idea. I Love the color too. Thank you for sharing with the newbie party. Glad you linked up! Thank you so much for making time to visit, Debbie! Thanks so much for sharing this. These notebooks are SOOO cute!! I'm so glad you linked up at Romance on a dime!! I'm pinning this. Thank you for the pin, Betsy, you rock! LOVE this journal! Beautiful colors! I am a fellow newbie over at the "newbie party!" And, I am your newest follower! Thank you for the visit, Melissa, feel free to drop by anytime! You-peee! You've just made my day, Kim! I've always wanted to make a book. Thanks for linking at Wow Us Wednesday! 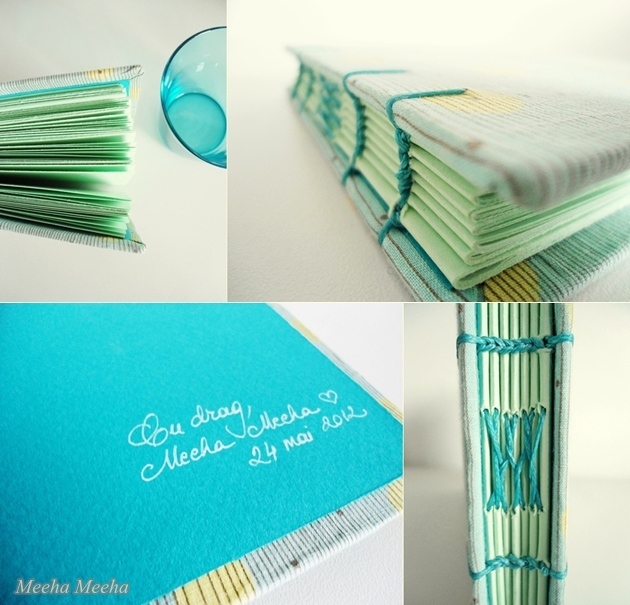 Meeha Meeha--great handmade notebook! I love the fabric you used. I'm so happy that you like the little notebook, Gail! Thank you so much for visiting, as always! Absolutely gorgeous! I featured you today in my Friday I'm In Love favorites!! 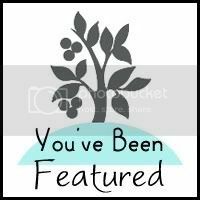 Thanks so much for linking up to Make the Scene Monday, you are being featured later today! Yaaaay, thank you from the bottom of my heart! Thank you so much, Ashley, you really made my Sunday! Wow, thank you from the bottom of my heart, Brooke! Stunning notebook and what a wonderful present, I'll be featuring it tonight. You know I love your projects and I wanted you to know that I launched a second blog called DETAILS. I featured your beautiful notebook today. DETAILS is all about projects with details that make them extraordinary! Please stop by and visit the sister site to homework, DETAILS. Oh wow, thanks a million, Carolyn! I'm heading over to your new blog right now! ouw, u r a true blogger. how creative, love ur blogs. Thank you from the bottom of my heart for the beautiful words, Febrina! You are always welcome here on my little blog!